Our workshops are based on pioneering research in the psychology & physiology of reading, how our brain ‘comprehends’ and the science of learning & memory. Each workshop is reviewed and updated as often as every few weeks, as new scientific discoveries about reading, the brain, learning & memory come to light. No left brain/right brain nonsense. Only credible, peer reviewed science and research about the one whole brain. You’ll have access to our reading speed testing systems and software. An important first step is to accurately determine where you are now. Our advanced systems quickly help you get a handle of your current reading speed and comprehension level at any given time. And you’ll be able to access this anytime, so you can keep track of progress well after the workshop. participants’ attention through exciting and stimulating games, presentations, exercises and custom developed videos that stay with you long after the workshop is over. workshops encourage this by organizing team activities that allow for a melting pot of mindsets and ideas. In addition, you get to meet people with winning mindsets. At its core, efficient speed reading is based on developing potential that already exists inside your. With our guidance, you can see noticeable improvements in your reading speed and comprehension before lunchtime – guaranteed. Using our proprietary software and SoundwayTracker, you’ll know just how you are progressing through the day. This will give you ongoing encouragement and the awaken the drive to excel even more. workshop ends. These action plans factor in each participants strengths and weaknesses – to ensure that poor reading habits are permanently erased. Each participant is provided with our complimentary, custom designed online speed reading software for home use. As a post-workshop learning tool, this software contains fun reading exercises and games to further instill the accurate reading habits learned during the workshop. 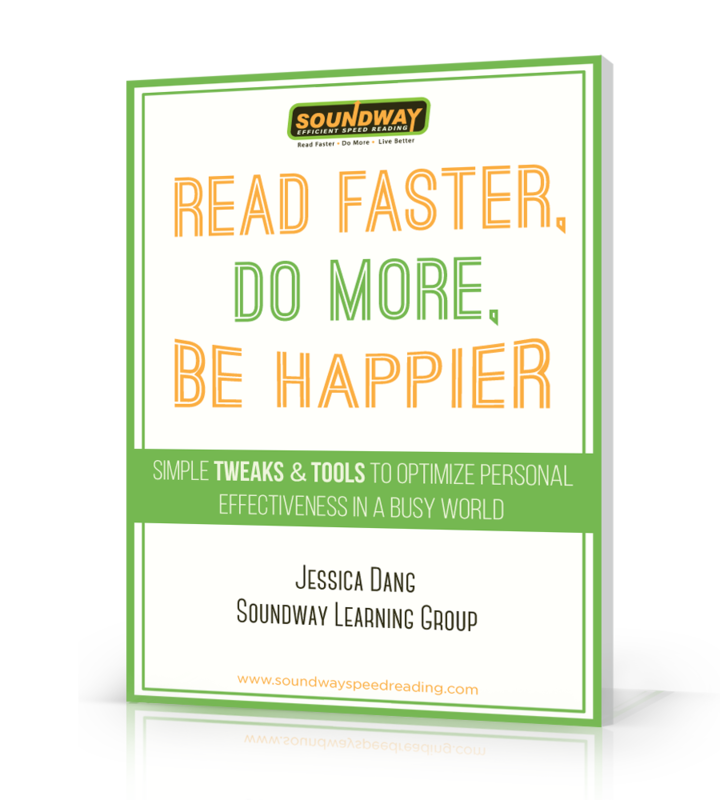 You will be pleasantly surprised at how more you can increase your reading speed just by using this advanced, easy to use technology tool for just 10-minutes a day for 10 days.